To ensure artistic, creative writing pleasure, Kaweco offers the CALLIGRAPHY set which includes a Kaweco Sport fountain pen with a 1.1 mm calligraphy nib as well as 3 exchangable inserts with a stroke width of 1.5, 1.9 and 2.3 mm. 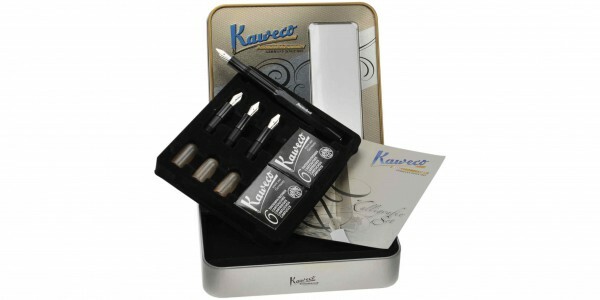 Available in black and white the Kaweco CALLIGRAPHY set is beautifully presented in a gift box. 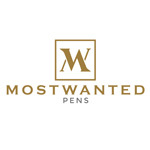 The set additionally includes 3 protective caps for the exchangable inserts as well as 2 boxes of original Kaweco ink cartridges and a manual for the first steps of calligraphy. A big program of perfect ink cartridges for the Kaweco fountain pen you can get here in the shop. The prestige of calligraphy is given in the history of civilisation wherever the copying of sacred texts is classified themselves as religious process: For example, traditionally in Christianity at the copy of the Bible or in Islam, where the Basmala is the most common calligraphic form. Even today, the calligraphy is important and inspiring for the Chinese and Japanese writing culture. 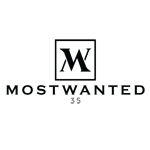 More important than legibility is to achieve perfect aesthetic balance and the visualization of emotions.